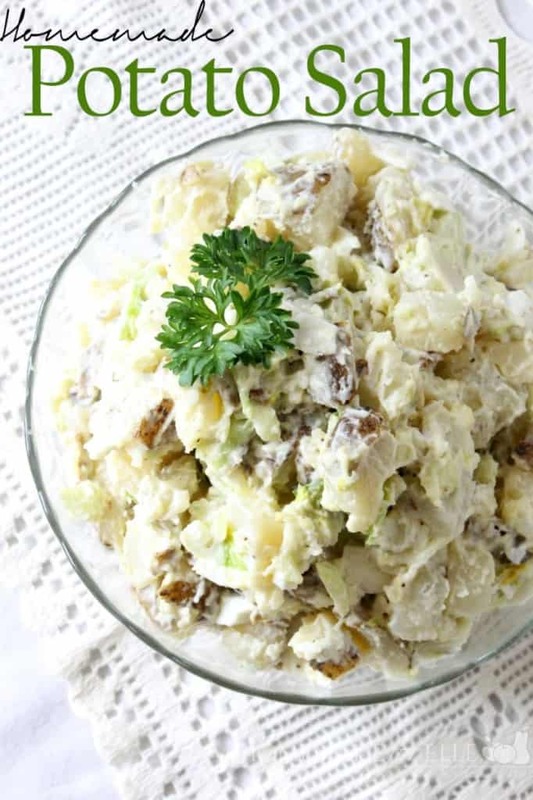 This potato salad is outrageously addictive. I cannot get enough of this stuff. It’s just so good. The flavors of the eggs, potatoes, celery, and spices meld together so amazingly. It was a little hard for me to restrain myself from spooning it in before lunchtime. Luckily, it wasn’t that hard to make. 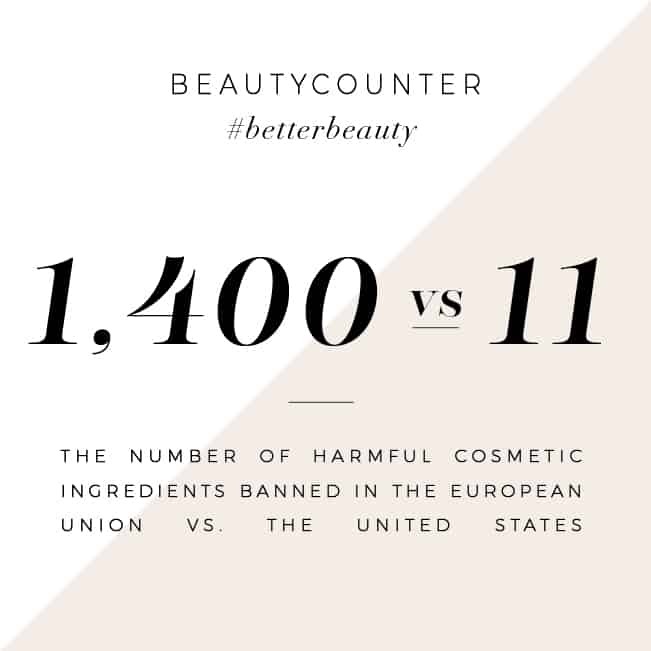 And it’s a powerhouse of nutrition, especially if you leave the skins on the potatoes! Most potato salads that are sold at the store contain fillers like modified food starch to make them go further. Those potato salads even cost less because the company doesn’t have to use as much of each ingredient. 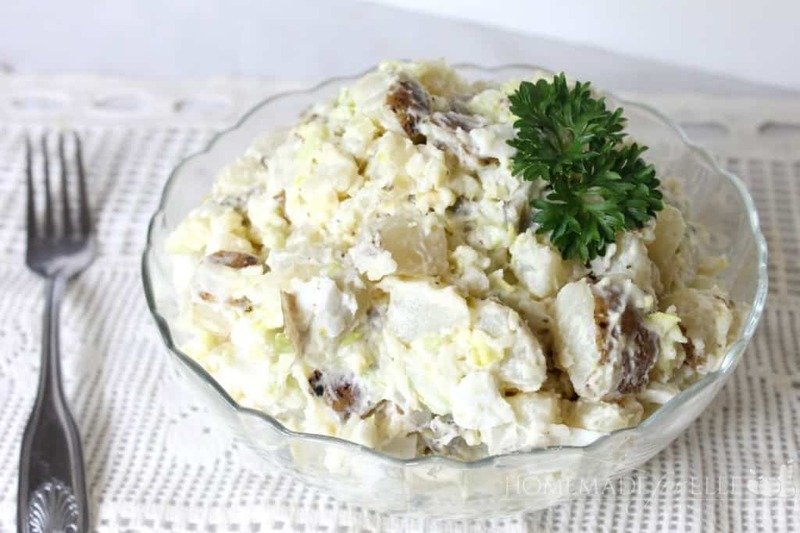 A lot of brands also put MSG in their products to make them taste better, but I promise you—NOTHING tastes better than homemade potato salad. Some people don’t like large amounts of mayonnaise in their potato salad, but some people like it heavy with mayonnaise. The recipe below has two different amounts of mayonnaise: 3/4 cup and 1 cup. I would start with 3/4 cup if you’re worried about overdoing it and then if it doesn’t seem like enough mayo, add a little more. 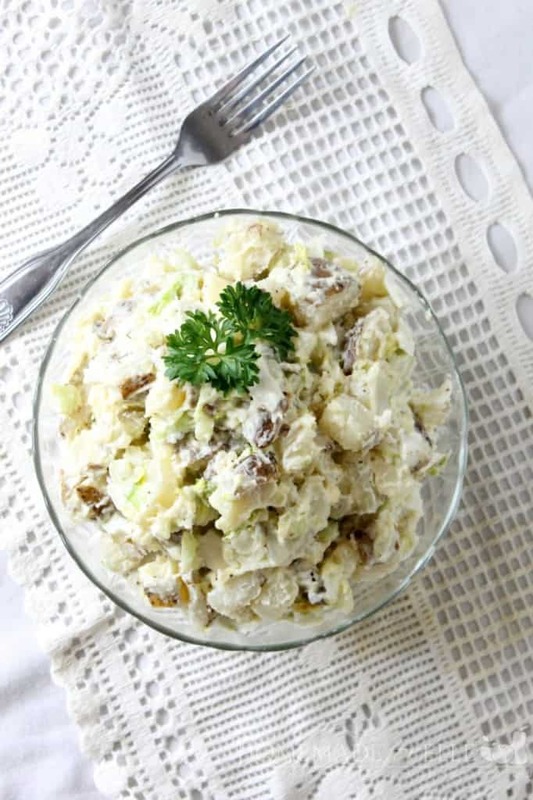 Serve this easy potato salad at a party, with hot dogs, with a turkey and cheese sandwich, however you’d like. I like to garnish with sliced eggs, parsley, cilantro, and dill, but you can use anything that you feel makes it look pretty. Bring a large pot of salted water to a boil. Add potatoes and cook until tender but still firm, about 15 minutes. Drain and let cool. Once cool, roughly chop. In a large bowl, combine the potatoes, mayonnaise, onion, mustard, celery, eggs, parsley, pepper and salt. Mix well, chill and serve.